At some time we have all waited patiently (or more likely impatiently) in line behind them in airports, cinemas, banks, theatres, nightclubs, public events and so on. 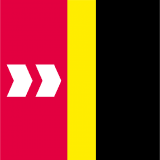 They are the temporary queue management barriers, typically comprising a metal post with a retracting belt or braided rope and a heavy, cumbersome base. Used in their millions all over the world any where people are expected to queue or congregate. Rick Hall, Managing Director and head of Product Development at Barrier Group answers a few questions about why their queue control barrier range was completely redesigned to create the new industry preferred Neata Queue Management System. What inspired the creation of your Neata queue management system? 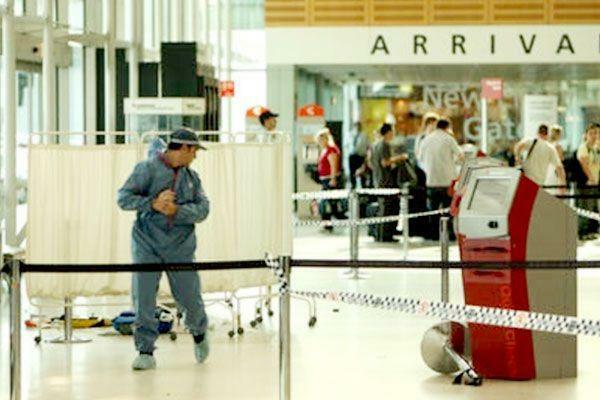 Prior to its conception, a man was beaten to death with a portable crowd control barrier in a violent brawl at Sydney Airport Australia. And after other bashing incidents in a number of Melbourne night clubs, where similar barriers were used as weapons and projectiles, we decided that while we can’t control the violence, we could come up with a solution to minimize the improper use of these products in the interests of public safety and venue liability. We are recognized within our industry as being innovators and problem solvers, and I think what we have developed here is a quantum leap forward in crowd control measures that has global applications. But it is not just the safety and liability issues that are cause for concern, is it? No there is so much more. For the queuing public, they are at best an inconvenience with their large intrusive bases catching on suit cases or trolleys and providing a tripping hazard. While for those responsible for the placement and maintenance of them, they are heavy (often weighing up to 15kgs each), awkward to handle, bulky to store and transport, difficult to clean and maintain and often requiring constant adjustment to keep them in their correct position. What has Barrier Group done to eliminate all the safety, liability and logistical issues associated with conventional post and base units? We replaced the bulky free-standing base with a unique stainless steel in-ground sleeve and coupling arrangement. The elimination of bases gives an immediate increase in usable floor space of up to 30%. While the posts have an in-built impact absorbing feature which allows them to tilt by up to 10 degrees and return to their original position without incurring damage. A very high quality stainless steel Queue Management System that locks into the floor, is tamper resistant, but can be easily removed or relocated by authorised people as required. It has a small foot print of only 65mm in diameter and weighs a mere 3.2kgs. How did you come up with the name 'Neata' for your queue management system? When we stood back and looked at what we had created, apart from being safer and more space-efficient it was simply neater. Neater by nature - Neata by design! What more can you tell us about the Neata system? 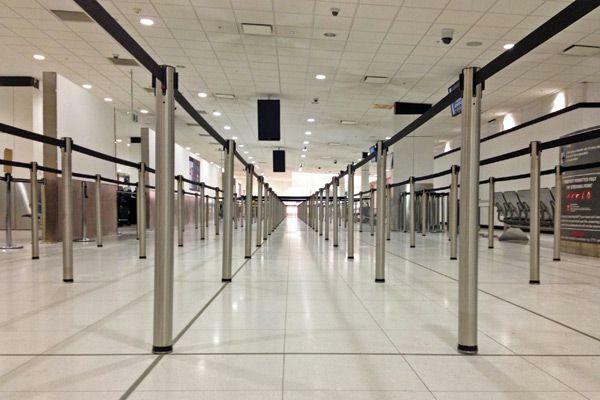 Neata is available in permanent, semi-permanent and temporary queue management systems. With up to six convenient post base options and a choice of retractable belt, braided rope, stainless steel rail and plain post configurations, the entire system appeals to every small or large crowd. By offering fixed or portable solutions ranging from high end to economy options, we can guarantee that there is a queue control barrier to suit everyones needs. Now that the Neata Queue Management System has rapidly grown in popularity we have introduced Australia's first Gallery Barriers into the range - read more.